Post Disc | McCoy Machinery Company, Inc. The McCoy Post Disc tension has long been the go-to for rugged reliability and simplicity. What it lacks in sophistication, it makes up for in simplicity of operation. Infinite adjustability, whether it be the (6) position turret, adding weight to the discs, or both. The Post Disc will deliver consistent and accurate tension, all while not breaking the bank. 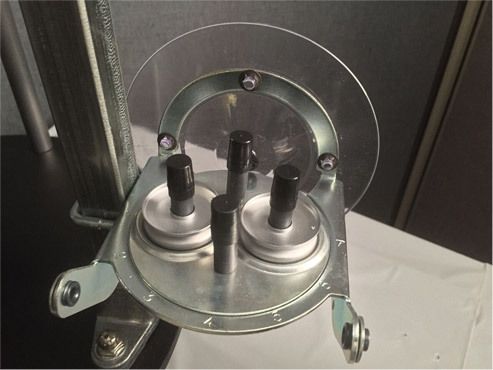 Tension is applied electronically by pulling two tension discs together to generate tension eliminating wraps, angles, and weights. 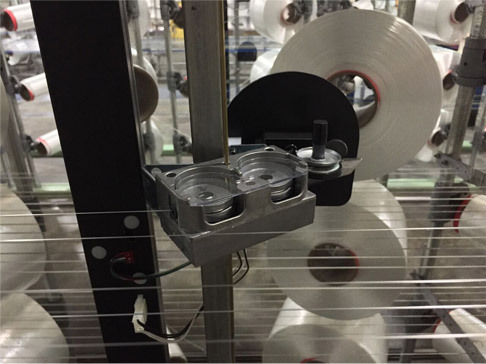 The PowerDisk ™ is controlled through a central control unit and can be zoned front to back for even tension across the yarn sheet. 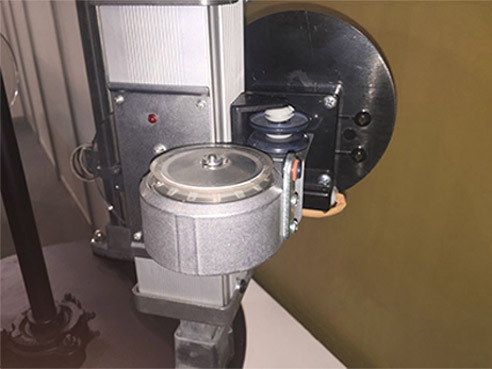 Tension profiles can also be programmed and stored for quick recall and easy duplication. The MagnaTense ™ is ruggedly built and uniquely suitable for fiberglass, industrial, or heavy filament and spun yarns. 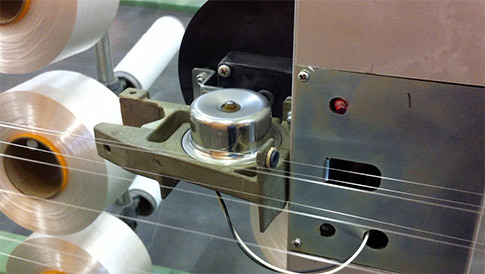 The MagnaTense ™ improves efficiency, allows increased yarn speed and reduces end breaks. Unlike pinch-type tensions, the MagnaTense ™ does not pinch yarn, damage fiber arrangement or distort the twist. The Whorl utilizes an infinitely adjustable electromagnetic field to create tension, so there is no physical stress on the yarn. The tension applied to each end is precise with almost perfect uniformity end-to-end across the entire yarn sheet. You can expect fewer end breaks, which results in improved warping and weaving efficiency and overall fabric quality.